HostSearch interviewed Brett Dunst, VP of Corporate Communications at DreamHost - a global leader in web hosting and cloud services for entrepreneurs and developers. HOSTSEARCH: What’s your role within DreamHost and how long have you been with the company? BRETT DUNST: I’m Brett Dunst and I’m DreamHost’s VP of Corporate Communications. I’ve been with DreamHost since 1999 and have mostly held various marketing-related roles during that entire time. HOSTSEARCH: Tell us a little about DreamHost’s long history in the hosting business. What have been the keys to that longevity in a competitive industry? BRETT DUNST: We got into this business in 1997 when the concept of a “commercial web host” was finding its legs in a still-forming industry, and when data centers were almost exclusively the playthings of banks and phone companies. It was still very early days for the web on the server side, on the client side, and on the transmission lines that brought the two together. We’ve tried to do two things over the years to stay competitive. We’ve worked hard to stay on top of the technology, and we’ve dedicated a lot of time listening to our customers and providing them with the tools and services they actually need. HOSTSEARCH: How many hosting customers does DreamHost currently have? BRETT DUNST: Right now we’ve got a bit over 400,000 active customers. The lion’s share of that number are on our shared hosting platform, but we’ve also got a very healthy percentage of people taking advantage of our managed WordPress option (DreamPress) as well as our S3-compatable cloud storage (DreamObjects) and cloud computing (DreamCompute) resources. HOSTSEARCH: What types of businesses are using DreamHost? BRETT DUNST: The great thing about hosting in 2017 is that there’s such a low barrier to entry for businesses of all sizes. Costs to get started online have never been lower, and there’s so many great, user-friendly tools out there to build and maintain website content that anyone can become a webmaster in a matter of minutes. As a result we host a lot of entrepreneurs and small businesses from around the world. They include restauranteurs, software developers, and even tinkerers who might have an idea for an online business and just need a place to build it. We’ve also listened to our enterprise customers and have worked hard to make our advanced cloud services be both price competitive with some of our larger competition, and resilient in the face of increased expectations for reliability and availability. 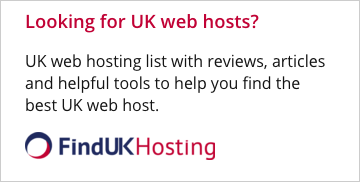 HOSTSEARCH: Beyond its core web hosting business, what other products and services does DreamHost offer customers? BRETT DUNST: Oh man, there are SO MANY THINGS! Aside from our traditional managed shared, VPS, and dedicated hosting, we’ve got tons of other goodies that our customers have found useful. WordPress powers something like 25% of the web today, and we’ve embraced it completely at DreamHost. We offer a managed WordPress service called DreamPress, custom-built from the ground-up to provide the best WordPress experience. Our heavy WordPress users have adopted DreamPress in huge numbers. DreamObjects is an object storage system which is API-compatible with both AWS S3 and OpenStack Swift. It’s very price-competitive with other object stores because it runs atop Ceph, an extremely flexible open-source storage system that was incubated at DreamHost. DreamCompute is our cloud computing service, allowing users to spin up unmanaged virtual machines in as little as 40 seconds. Based on OpenStack, the open source cloud stack, DreamCompute gives users complete administrative control over every aspect of their virtual server’s environment. Web security is always a hot topic, so we’ve built a security scanner to help our customers run regular, automated scans on the content of their websites. This scanner is based on a tool that we’d created, one we are constantly improving over time and have used internally for many years to help audit sites for signs of trouble. More recently we’ve rolled our DreamHost Remixer, a click-to-edit website builder that comes with a bunch of beautiful templates to get people up and running quickly! HOSTSEARCH: Tell us more about Remixer - what are the website building pain points this new product aims to solve? BRETT DUNST: We built Remixer based on direct customer feedback and demand. There’s a significant number of users who sign up for hosting and expect to have a completed website at the end of the process. There’s no shortage of website builders among web hosts, but we took a slightly different approach when we created ours. We wanted to remove the layers of complexity that those tools tend to bombard users with, and make the Remixer experience as simple and as clean as possible. The end result is something that we’re immensely proud of. Our click-to-edit site builder helps our users create beautiful websites in very little time with absolutely zero technical knowledge required. HOSTSEARCH: What’s been DreamHost’s overall strategy for acquiring new customers? BRETT DUNST: Our strategy has been to lead with a wide variety of products to provide clear upgrade paths as our customers needs (and the needs of their sites) grow over time. We see a lot of our users come in the door looking for shared hosting, and that makes sense because it’s plenty powerful and super affordable. People feel a lot more comfortable when they realize that if they should outgrow traditional shared hosting, they’ve got options to easily migrate to something a little more powerful with a minimum of effort or pain. From fully managed, purpose-built options like DreamPress to completely unmanaged virtual machines with DreamCompute, DreamHost offers a full spectrum of hosting options for nearly every need. HOSTSEARCH: As a domain name registrar, any interesting trends you are seeing in how companies adopt the new gTLDs? BRETT DUNST: For the most part, it’s been more of a land grab than anything else. We’re seeing people register a lot of the new gTLDs defensively to strengthen their existing online presence which often relies on older, more traditional TLDs. Over time we expect that to change as people begin to build entire online identities around some of these newer, more unique TLDs. We’re just happy to see so many great new domain options. The big three - .com, .net, .org - have been saturated for years, thanks in large part to domain speculators. This led to a whole lot of customer frustration and something had to change. Website owners have a lot more breathing room now! Users are much more likely to find shorter and more meaningful domain names when using less-crowded, newer TLDs. Memorable, SEO-friendly keywords are all up for grabs with literally hundreds of great TLD options behind them. HOSTSEARCH: DreamHost has long been a proponent of open source software. How does that manifest itself in your products? BRETT DUNST: We’ve always looked toward open source software as a way of bolstering our offerings with new features or enhancements without introducing the burden of additional cost to our customers. We don’t just “take, take, take!” though! By contributing back to open source projects that we use ourselves (like WordPress) we’re improving the overall web software landscape, and providing a benefit to many, many internet users. 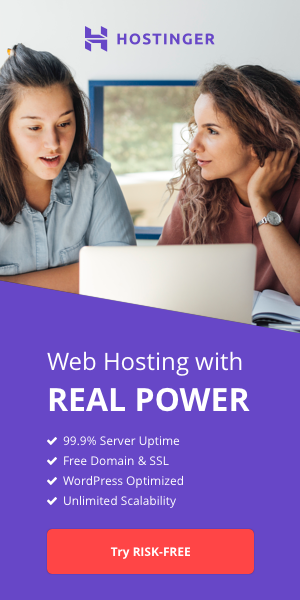 HOSTSEARCH: Some of the things that matter most when it comes to web hosting are reliability and performance, how does DreamHost ensure the best uptime and speed to your customers? BRETT DUNST: We’ve got a presence in several carrier-neutral data centers across the country with top-tier connections throughout. We track our network status relentlessly around the clock and have mitigation plans in place for nearly every contingency. Over the past few years we’ve invested heavily in our networking and server infrastructure, and it has paid off in some of the best uptime numbers we’ve seen in the history of DreamHost. We’re happy to continue that trend well into the future. HOSTSEARCH: If you can share, what are your product plans for 2017? BRETT DUNST: You can expect us to continue to focus on our core offerings as we always have, listening to customers and adding features based on their feedback. WordPress is here to stay and we’ve chosen to make it a big focus of our product plans. DreamPress is really just the tip of the iceberg for us, and we’re excited for what the future holds. HOSTSEARCH: DreamHost has long had a reputation as having a somewhat unique company culture and philosophy. How would you describe what sets the company apart from a culture level? BRETT DUNST: It comes down to having respect for our employees. We have eight very clearly defined core values that put the needs of our employees front and center. Here’s our secret: Happy people make great things! Not being beholden to shareholders, or a larger parent company, also gives us a huge amount of freedom in the types of projects that we’re able to tackle and in the way we’re able to present ourselves to the public. That freedom allows us to have a fun office culture and an irreverent brand voice which – we hope! – lets us share that culture with the world.